Find the product that best fits your taste and lifestyle! 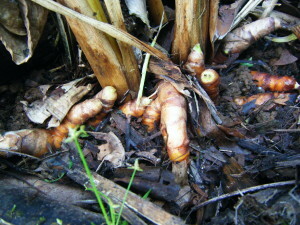 Turmeric, a plant similar to ginger, has been used as a medicine for centuries. 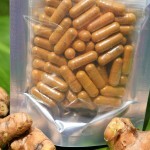 Curcumin is the component within the turmeric rhizome that holds the majority of medicinal benefits of turmeric. Recently, more and more studies have been documenting the positive effects on those that consume turmeric daily in their food. Our Daily Dose of Turmeric products are designed for you to be able to get the perfect amount of turmeric, daily, as to provide you the opportunity to utilize this amazing plant to feel good! 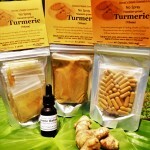 Find the Daily Dose of Turmeric Product that best fits your taste and supports your lifestyle! 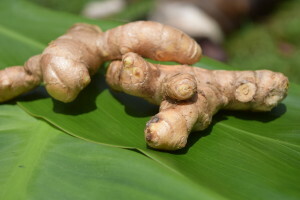 Our turmeric products are grown and processed in Hawaii surrounded by positive thoughts of healing, good health and thanks. We understand that our food is our body’s medicine. 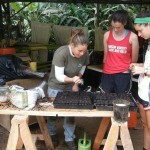 We have a passion for growing medicinal plants in our garden in the best possible manner for the planet. We do so because we personally take the products from the plants we grow for all the amazing preventative benefits they offer. 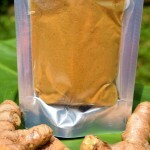 We have been taking turmeric powder for over 5 years as a mouthwash right before we go to sleep. Our teeth are whiter, our cavities disappeared and our gums are healthier than ever. Before offering it here, we gave it to our family. After taking our turmeric extract daily for 3 years, Laura’s Mom has witnessed amazing relief from a sciatic nerve pain that has persisted for years. Jesse’s Dad found relief of the pain associated with arthritis in his hands after working as a carpenter for many years. 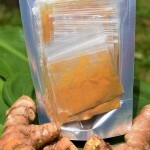 Because our family started feeling amazing results we grew a little more the last few years so that others can have the opportunity to take a daily dose of turmeric and experience the same amazing benefits. 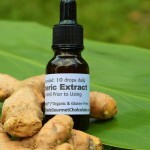 To continually growing responsibly we offer turmeric for 100 clients to take daily. 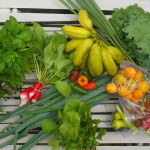 Thank you for supporting local natural farmers! Please check out our other products, services and education pages!